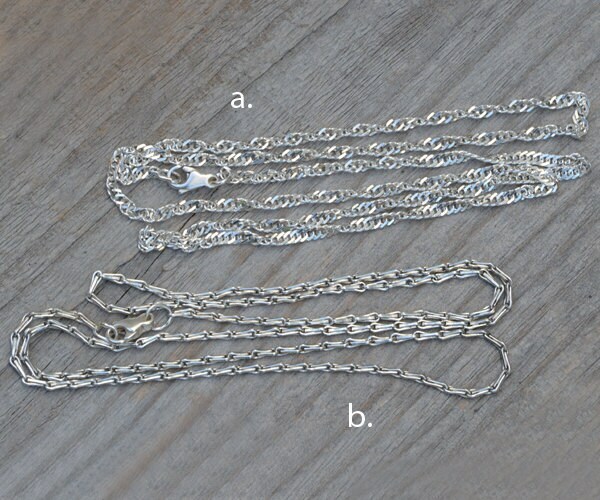 Barleycorn Chain and Twisted Curb chain in Solid sterling silver chains handmade in England. 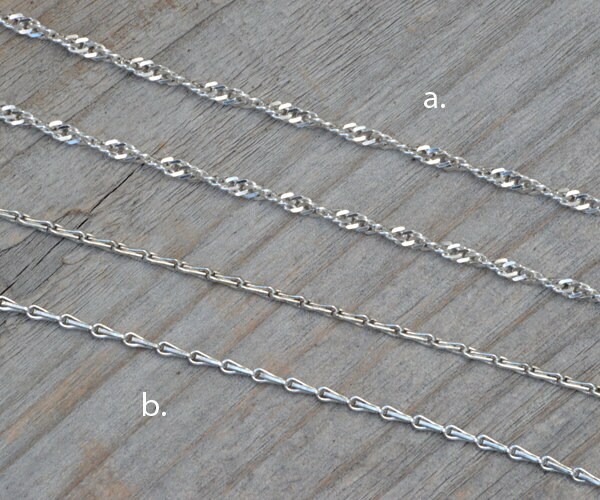 Each chain comes with a lobster clasp, it's ready to wear. They are ideal for your favorite pendants or just wear on their own. All jump rings are soldered/closed. If you want it in other materials or sizes, please contact me for details. 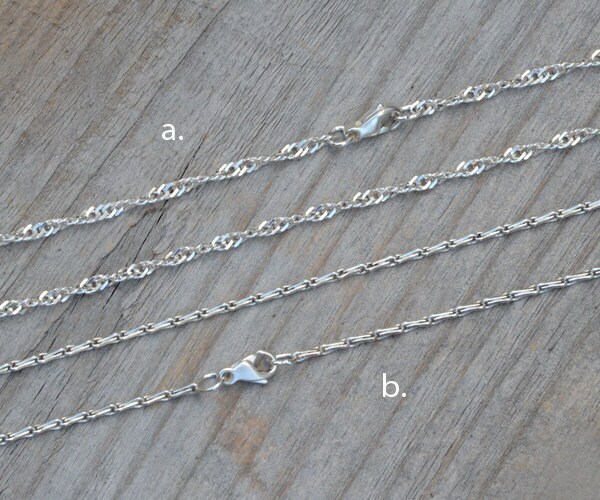 Very nice chains, well made. It's gorgeous and perfect for my pendant. Great seller, thank you! . 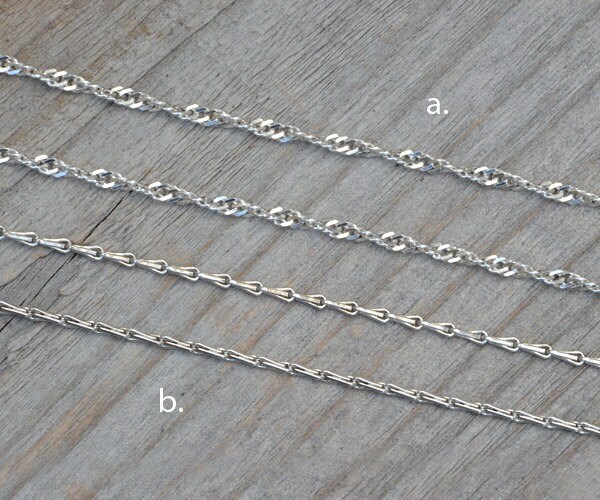 Really like this unique chain, very nice!